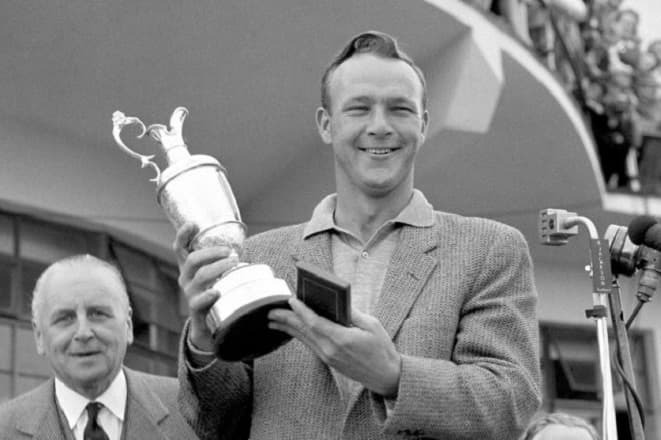 Arnold Daniel Palmer was an American sportsman and probably the most famous and influential golfer in the world. 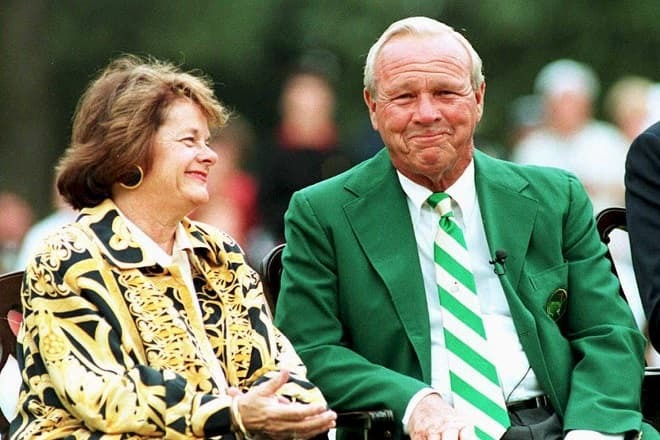 Although he passed away a couple of years ago, he is still the fifth on the Professional Golf Tours’ list of the greatest sportsmen ever with Tiger Woods, Sam Snead, and others. Palmer was given a nickname The King, making him the first sports superstar on TV to reveal the world not only his skills but also such features of his character as charisma, optimism, and wittiness. 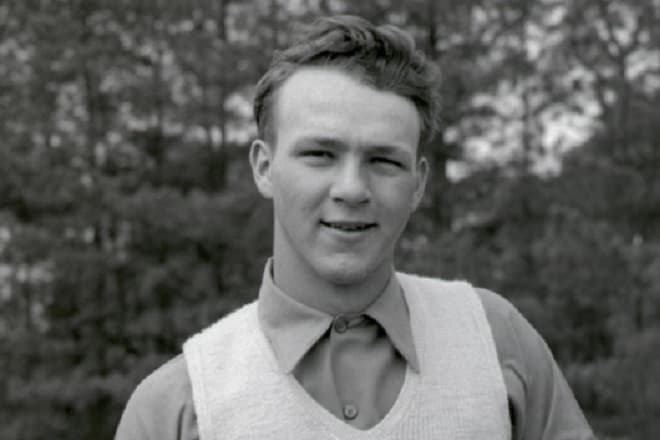 Arnold Palmer was born on the 10th of September, 1929 in a small town Latrobe located in the Pittsburgh metropolitan area. People of Latrobe were mostly occupied in a steel mill, but Arnold’s father was different. Milfred Jerome Palmer worked as a leading professional and greenskeeper in the local Country Club and was used to bringing his son to the court. Little Arnold has always accompanied his father willingly watching him go through the whole course. At the age of 11, he was hired as a court assistant. No wonder that the boy got interested and rapidly won in three different nominations in the neighborhood. Palmer enrolled in the Wake Forest College with the support of a golf scholarship. However, after his close friend had died, he dropped college to join the U.S. Coast Guard where he spent the next three years. But it turned out that life without golf was impossible for such a native player, so very soon Arnold modified the surrounding of the Training Center. He built a course of nine holes and started practicing, combining it with the enlistment service. After the term had ended, Palmer returned to the college and reentered high-level sport. In 1954 Palmer participated in the Amateur U.S. Championship in Detroit and took the first place. According to the words of the golfer, achievement on the Amateur gave him energy and enough confidence, so he could continue playing on the next level and decided to go pro. The next year after the start of the professional career, Arnold Palmer won the «Canadian Open» and recollected the prize of $2.4 million. But the significant position was acclaimed after the victory on the Masters Tournament, his first adult championship. That was the moment when Palmer became ready to get more famous, so he agreed to sign up a contract with a sports agent Mark McCormack and sneaked on TV. This partnership is still believed to be the most successful and powerful duet in sports marketing. 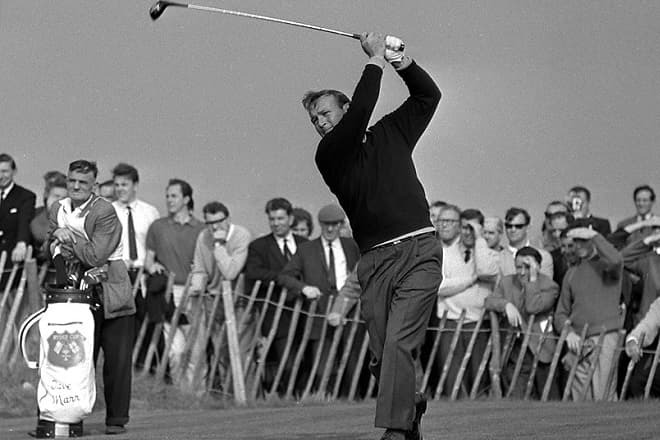 Very soon Arnold Palmer turned out into a real superstar that was excellently marketable. 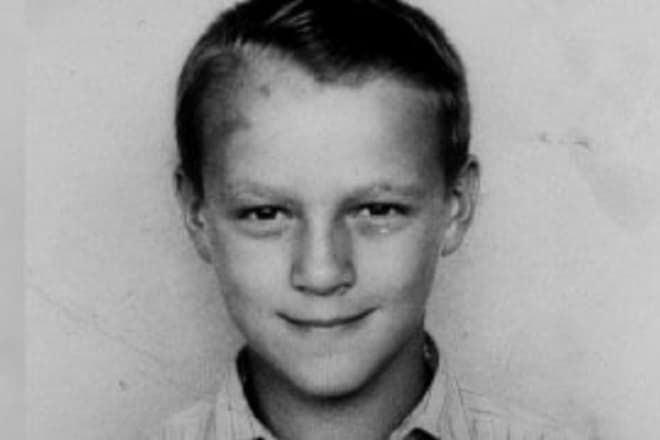 Such features of Arnold, according to his agent’s quotes, as good looking, humble, extraordinary on the course, risk-taking and deeply involved, made a young pro so enormously famous. 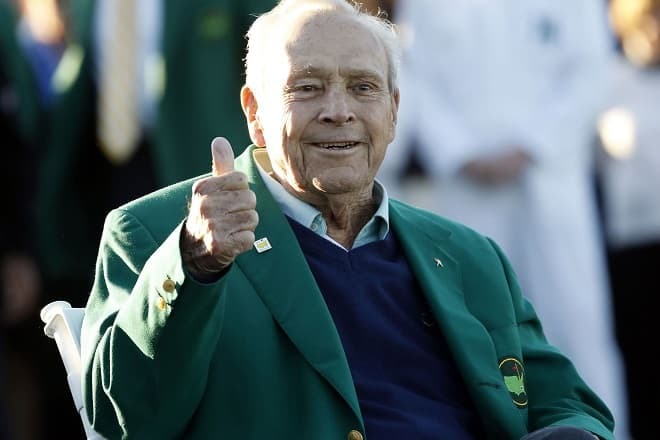 It was the exact time for such person to appear on the screens of thousands of families in the U.S., so Palmer rolled up his sleeves and started to use his charisma and skilfulness fully. What is more, it was not just an image - he was truly excellent and credited by masses for competing abroad, in the British Open, UK. Palmer wanted to emulate his predecessor, Bill Hogan, and win three major tournaments in one year. Although he didn’t win, losing out only one score, but earned the accolades from British fans too. He continued visiting the British Open, attracting American golfers to Britain. The most glorious years were 1960-1963, when Palmer was the first in 29 PGA Tour events, counting five major tournaments, in a row. In 1960, he gathered the Hickok Belt that is usually given to the top athlete every year, and also the magazine’s Sports Illustrated nomination. Subsequently, a huge fan base evoked and went under the name «Arnie’s Army». For them, Palmer was a god in a polo shirt working miracles with a gold club. He continued his career, playing in on six Ryder Cup teams from 1961 to 1971, being first a member and later the captain. 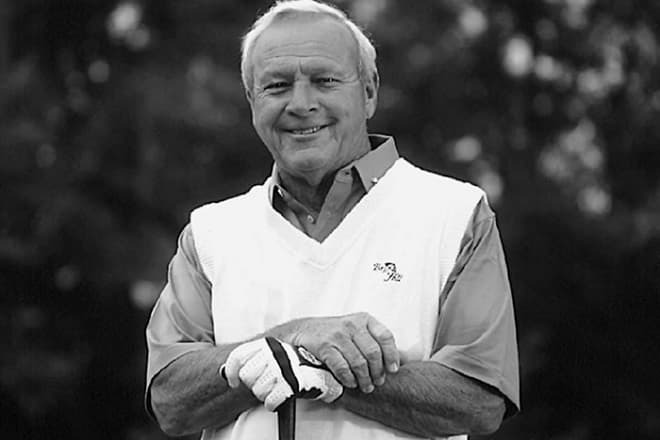 Palmer also participated in PGA Tour Champions since the foundation of the tournament, and made the event incredibly popular; then he attended the first World Match Play Championship in the UK and won it. Palmer's achievements can be spoken about for a very long time since even after he ceased to win the championships he continued to be the wealthiest and the most earning golfer thanks to his sponsors and glory. In 2004 it was the last time for him to play in the Masters Tournament, creating a pretty number of 50 years when he took part. However, he didn’t give up the Masters and went on with being an honorary starter of the game. October 13, 2016, can be picked up as Palmer’s retirement date, since he left the Champions Tour because he was dissatisfied with his own game. 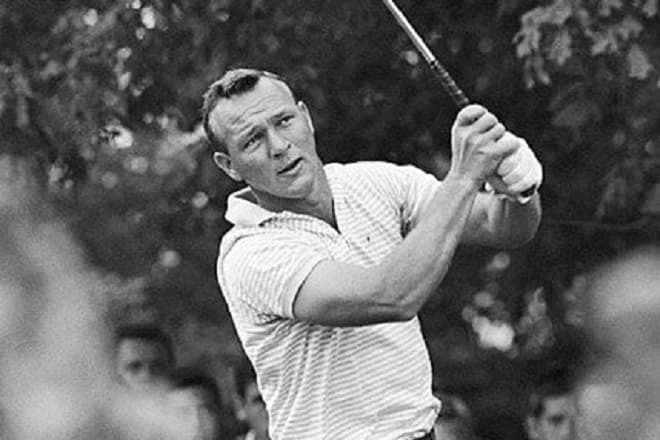 Arnold Palmer got acquainted with his future wife during a tournament in Pennsylvania. Her name was Winifred Walzer, and they lived happily together, until her death did them part, for 45 years. Winifred passed away due to ovarian cancer, but the couple had two children. Arnold’s grandson, Sam Saunders, is also a professional golfer. He resembled his relative’s life making an early statement in golf and enrolling University with the golf scholarship. Palmer had a huge residence in his native town, Latrobe, but also tended to spend time on the South, in Florida or California. He purchased a house in Orlando, and since then the area became all about golf, making the neighborhood a paradise for amateurs and masters. There were plenty of campaigns in which Palmer took place, for instance, Hertz Rent-a-Car. He was considered to be a mason and a big fan of the football club Rangers, surprisingly, a Scottish one. Palmer was much of a smoker and was striking with his addiction during his whole life. However he did promote cigarettes on TV commercials, later he completely changed his mind and started to address to the public with the messages revealing the consequences of tobacco smoking which causes a lot of diseases. It is known that Arnold was a Republican, and the party frequently and, unfortunately, desperately tried to force him to speak for it. But the golfer was adamant, which is probably for the best because the history is swarming with bad examples of celebrities turning into politicians. Many people consider golf as their hobby, but in the case of Palmer, there should have been something else. And the athlete decided to get rid of his greatest fear - the fear of heights, and, especially, flying. That is why he chose to pursue a pilot license and start practicing his own flights. Palmer got married the second time in 2005 on the islands of Hawaii to a wonderful woman named Kathleen Gawthrop. And again they were together till death, but this time without any offsprings and it was the husband who passed away on the 25th of September, 2016. Arnold Palmer died in the medical center where he was in a queue to get heart surgery. After all the ceremonies he was cremated, and his ashes were delivered to his hometown, or more precisely to the origin of it all. The ashes were scattered in his local Country Club in Latrobe, where Arnold was taught the basics of this elegant sport. There is a Golden Palm Star on the Palm Springs Walk of Stars given to Palmer, and many other places in the U.S. are holding the name of this celebrity. For example, a General Motors Corp. dealership, opened by a legendary golfer, is named after him; and the regional airport also has his name. and appeared in a U.S. national team 18 times during Ryder Cup, UBS Cup, World Cup and Presidents Cup.